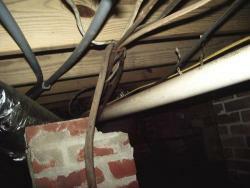 Exposed wires at the back porch and many areas under the house. 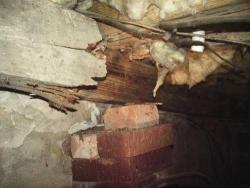 Exposed wires, rot and stacked bricks as a pier. 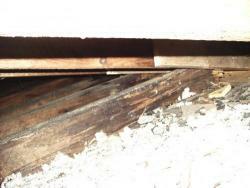 Damaged tile and deck bar. 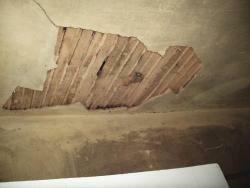 Plaster damage at the storage room with damage to the floor. 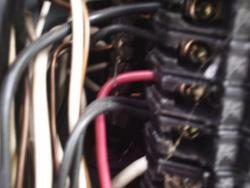 2 wires going to 1 breaker at the main panel. 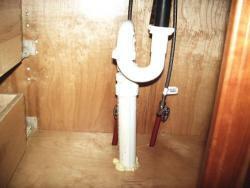 There are no vents to most of the plumbing in the house. Damage to wall in the left center room. 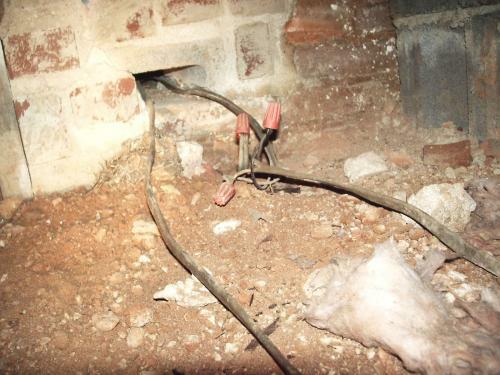 The far left front room appears to be a dirt filled porch. 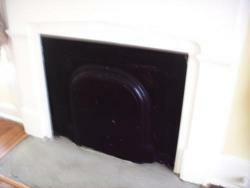 The flue is blocked off or the whole fireplace has cover in some rooms. 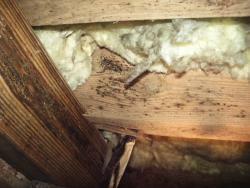 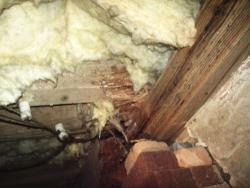 There are knee wall supports missing in areas of the attic. 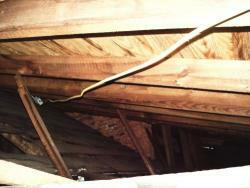 There is some past rot noted in the attic. 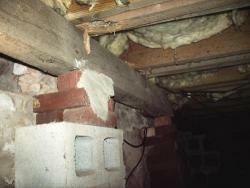 Rot at the front right crawlspace and repairs and temporary supports under the house and the newer temporary beams are rotten. 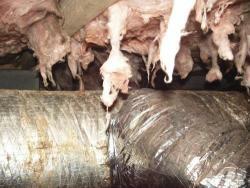 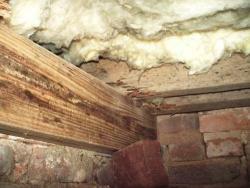 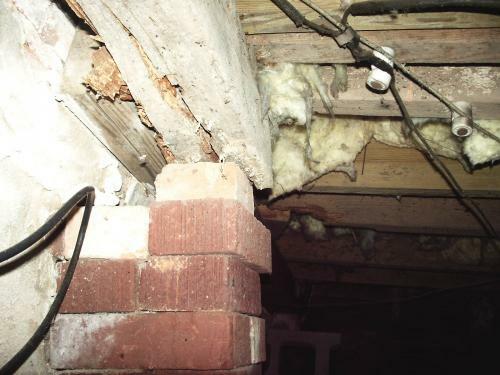 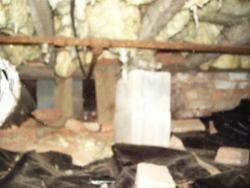 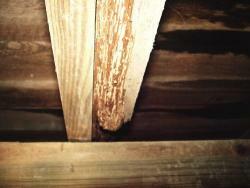 There are temporary supports under the house with moisture and insect damage. 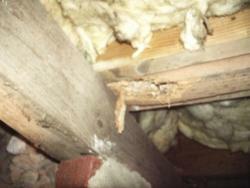 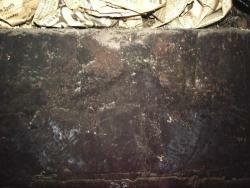 The floor joist are damaged. 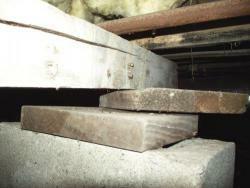 There are new and old piers not supporting the sub-floor. 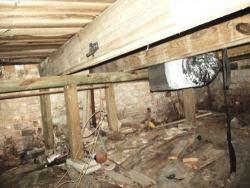 There temporary supports under the house and little space to move. 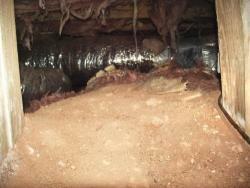 The duct work leaked at the front right room in the crawlspace and blocked the crawlspace to the center to left front part of the house. 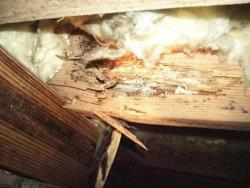 If there are any questions about the house you can call us at 800-250-2423. 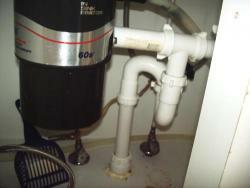 Submitted by GeraldGoforth on Wed, 03/30/2011 - 17:39.